Raising kids with healthy eating habits is becoming more difficult by the day. 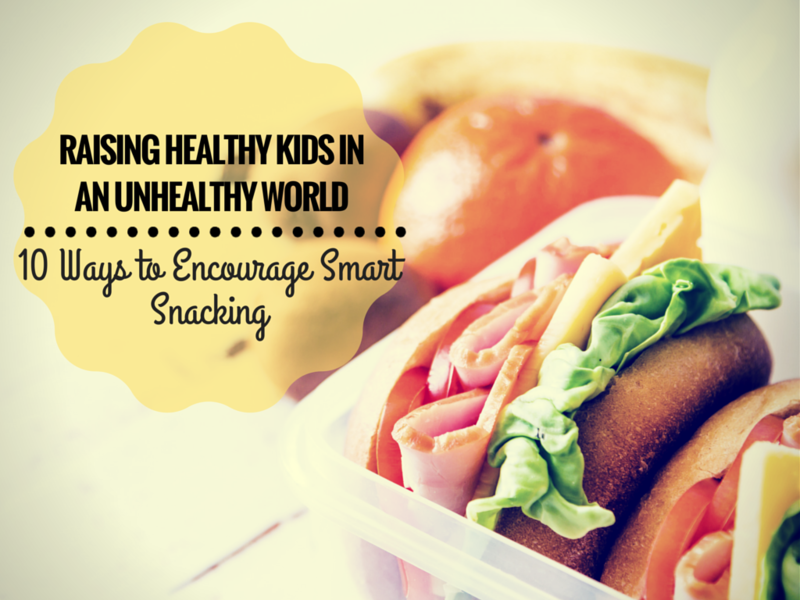 We live in a preprocessed and prepackaged world, and getting kids to choose healthy snacks can be a real challenge. Peel fresh veggies and keep them in the fridge. Package those healthy snacks with healthy dips such as low-fat dressing, hummus or yogurt. Choose prepackaged snack-sized bags of chips, pretzels and other snacks. The snack-sized bags make it easier to control portions. Make your own healthy trail mix with dried fruit, nuts and other fun ingredients. Package the trail mix in zip-lock storage bags or stash them in your child’s lunchbox. Blend fresh fruit juice with low-fat yogurt for a healthy smoothie. Keep a pitcher in the fridge for an anytime snack or place a spill-proof smoothie container in your child’s lunch pail. Enjoy a healthy breakfast with homemade whole wheat pancakes. Mix your own batter using whole wheat flour, and then stir in fresh fruit for added flavor. Keep low-fat deli meats, white meat turkey and hard boiled eggs in the crisper drawer of your fridge. The kids can grab a healthy snack when they get home from school and share the flavor with their friends. Sneak healthy food into your desserts by substituting apple sauce for some of the butter or shortening. Reduce the amount of sugar in your recipes by adding naturally sweet blueberries, apricots, peaches and other delicious fruits. Replace unhealthy sugared and sugar-free soda with a mixture of seltzer water and 100% fresh fruit juice. They kids will love the fizz and the great taste. You do not have to let your kid become a statistic in a world where obesity is increasing at an alarming rate. Making a few simple changes to the way your family lives could help your own kids avoid long-term health problems.